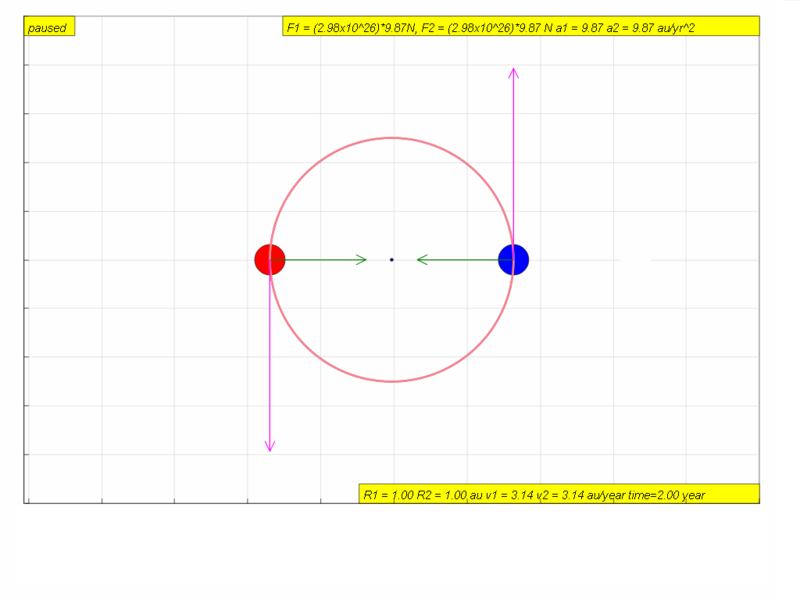 Two stars of equal mass M move with constant speed v in a circular orbit of radius R about their common centre of mass O. What is the net force on each star? 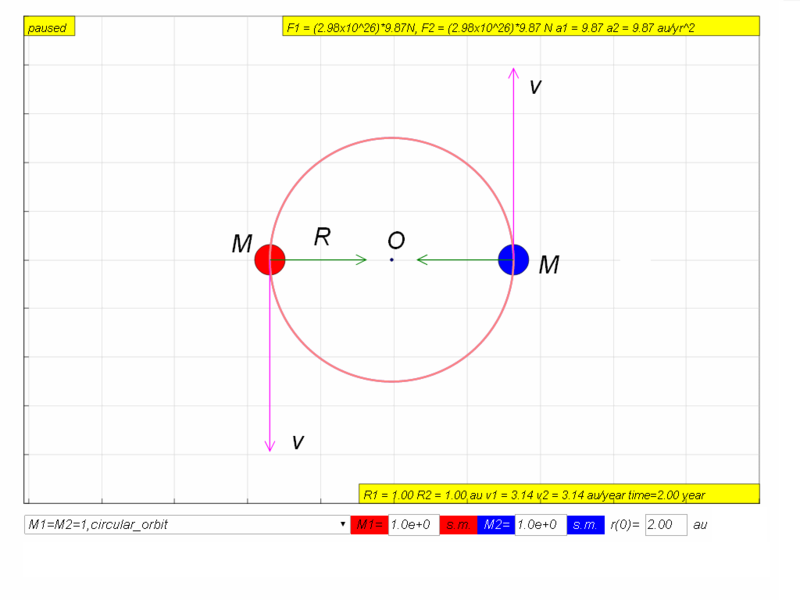 select from the down-drop menu "M1=M2=1,circular_orbit"
click play and observe the motion, noting down the magnitude of the forces (green arrows) on each mass. 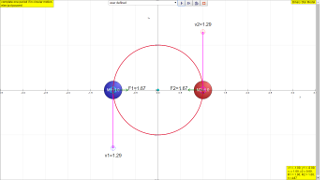 in the simulation terms, notice the force on M1, F1 = (2.98x1026)9.81 N and F2 = (2.98x1026)9.81 N.